Great photo here of Darioush Khaledi, owner of Darioush, in his cellar. Northern Iran is one of the birthplaces of wine, as records from 5,000 B.C. indicate a nomad culture living there and celebrating wine. Darioush Khaledi was instilled at an early age with the winemaking craft of his father and began collecting fine wine at a young age. He migrated from Iran to the United States and owned what was once the largest family-owned grocery store business in California. 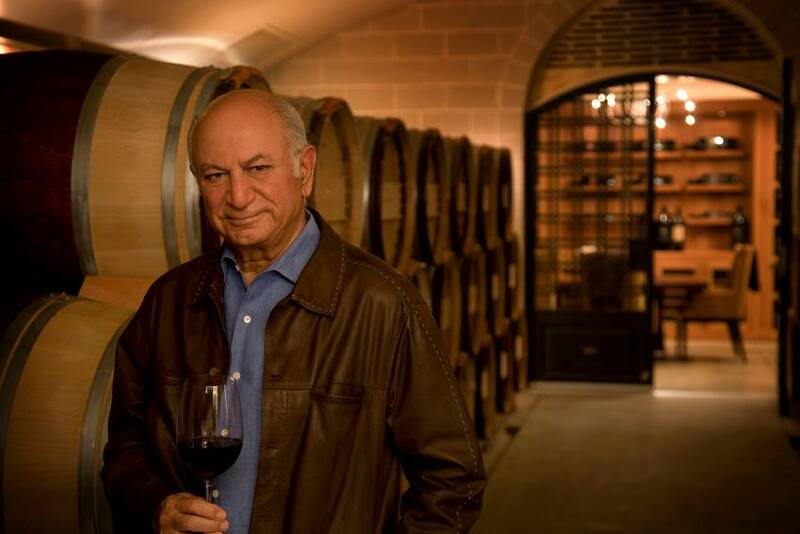 His passion for wine met its apex in 1997 when he formed Darioush winery. I recently had the chance to visit the gorgeous property in Napa. Darioush is truly one of the most beautiful wineries in North America. Darioush is one of the few wineries where the quality of wine equals or surpasses the splendor of their property. Their current lineup was just as good as any in Napa. Look for their 2016 Darioush Viognier (WWB, 93) which rivals the best in North America. Even better was the 2014 Darioush Cabernet Franc (WWB, 96) which showed an incredible mouthfeel and silky texture and is up there with the best Cabernet Franc that I have sampled in the past year. Learn more about this famed winery at darioush.com. Here are the great new wines by Darioush.